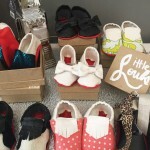 House of Z, Carmel City Center’s new children’s clothing boutique, opened their doors in March of this year and brought a fresh, fashion forward shopping experience to the Center. Owner, Hailey-Brooke Barham, was inspired by her five year old son, Zade, to open the boutique and offer the latest in kids fashion, specializing in celebrity styled kids wear. 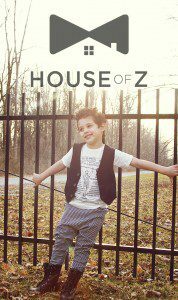 House of Z also carries the coolest toys, accessories and items parents will love. 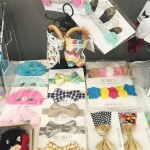 Inspired by Barham’s son, Zade, shoppers will find a broad range of apparel and accessories for infants to size 8. Some of the lines include Hello Apparel, Peaches N’ Cream, Wheat, Mud Pie, Agatha a Ruiz, Little Giraffe, Petit Lem, Ruffle Butts, Flint n’ Fire, Baby Bear, Skinny Coconut and sozo just to name a few. House of Z is located at 727 Hanover place on the interior plaza of Carmel City Center(click here for map).Carmel City Center is located on the southwest corner of Rangeline Road and City Center Drive. Surface parking is available on plaza level (accessible from City Center Drive), in the underground garage (accessible from Range Line Road) and along Veterans Way located to the south of Carmel City Center. Private: Santa Claus is coming to House of Z and Books & Brews!